As September approaches the change of season always seems to bring an Indian summer to Sussex and where better to enjoy this last burst of light and warmth than Borde Hill gardens. This week I am in the generous company of Borde Hill’s current custodians, Andrewjohn Stephenson Clarke and his wife Eleni. The gardens at Borde Hill were first laid out by Andrewjohn’s great grandfather, Colonel Stephenson R. Clarke. He purchased the house and land in 1893. Between 1893 and 1937 he sponsored many of the Great Plant Collectors’ expeditions. They returned with rare specimens brought back from their travels in the Himalayas, China, Burma, Tasmania and the Andes. Many of these plant species are still at the heart of the collection which make up the seventeen acres of formal gardens. The established gardens, too, are constantly being renewed. 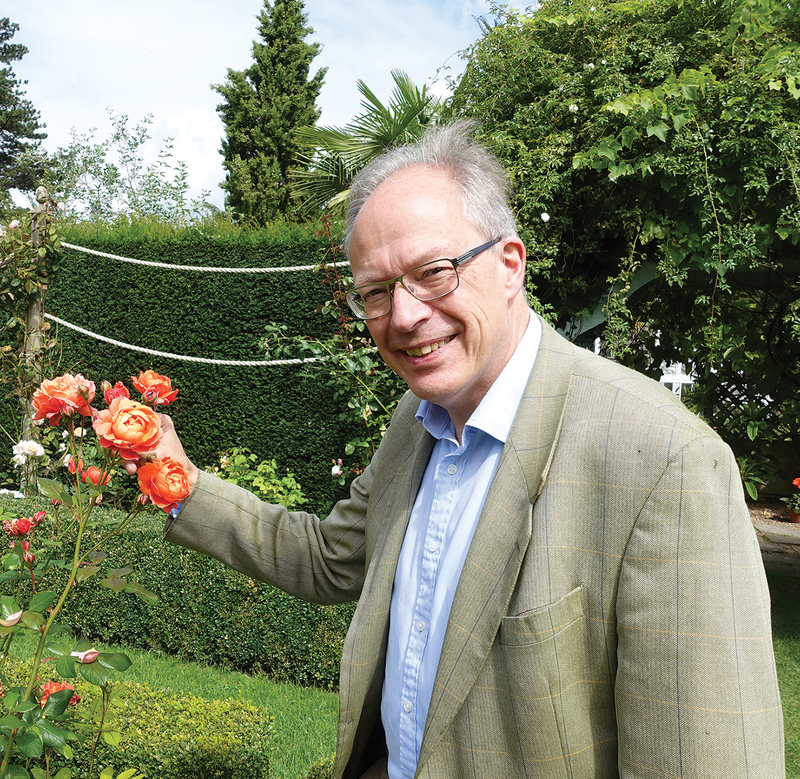 We find Andrewjohn in the Rose Garden admiring a David Austin Summer Song rose which is a particular favourite of theirs. The colours of the roses are resplendent as though in a painting and to the fore is a wonderful carved Portland stone sculpture, titled Rose Bud, by the artist Will Spankie. For many years the gardens have been complemented by an annual exhibition of contemporary sculpture. All the work is for sale and the sculpture trail adds life and fresh perspectives to the gardens. We come upon the timeless Italian garden. The summer clouds are reflected in the water amongst the lilies with such depth that it is as though the sky and the water are united. Andrewjohn and Eleni’s vision and attention to detail have brought new life to the disciplined symmetry of this garden. You can for a moment believe that you are in a little bit of Italy. The lives of Andrewjohn and Eleni Stephenson Clarke are bound to this place and the gardens in a very personal way. Their forward looking stewardship ensures that the past is valued and preserved but that the gardens are constantly evolving and changing in a very contemporary way. Borde Hill’s gardens bless you. As you walk your conversations cannot fail to be informed by the beauty of the place. And there is plenty to inspire the keen horticulturist whether it’s the rare species, the subtle effects of the planting, or the floral compositions before them. 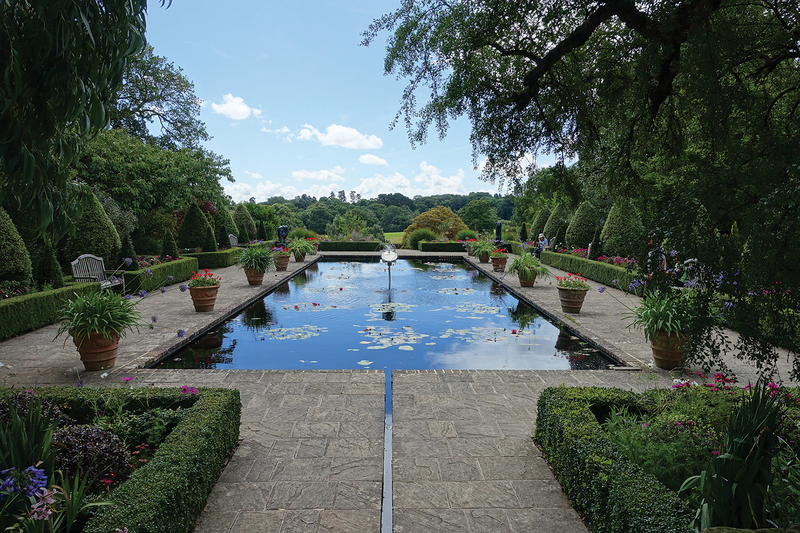 Borde Hill Gardens is the perfect Indian summer destination. 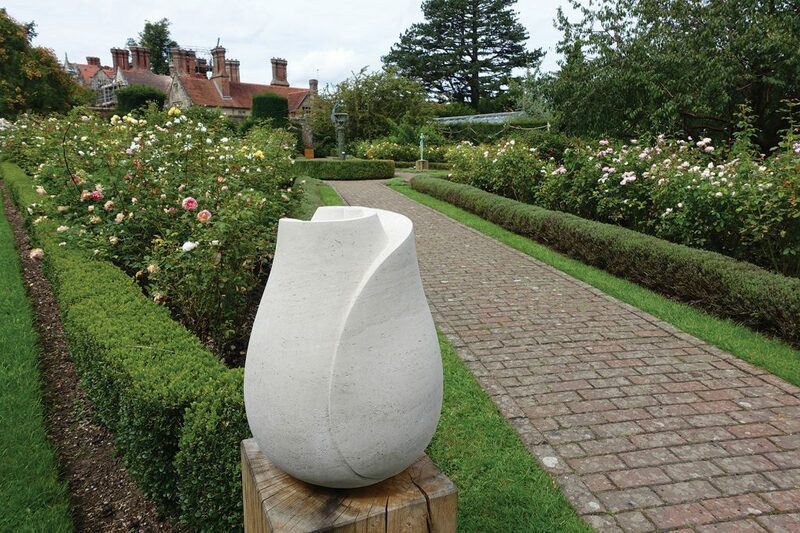 The gardens and contemporary sculpture exhibition remain open until 2nd October 2017 at Borde Hill Gardens, Borde Hill Lane, Haywards Heath, West Sussex, RH16 1XP, For more information on opening times and forthcoming events go to www.bordehill.co.uk or telephone 01444 450326.